KUALA LUMPUR, Malaysia–(BUSINESS WIRE)–Fusionex is lending its support to the Mobile Medical Wellness Awareness Outreach Program. Fusionex is a main partner and sponsor for the program, which aims to create awareness of high blood pressure, high cholesterol, and high sugar – the three highs. To educate patients and the public, a Mobile Medical Outreach van will be visiting schools, colleges, malls, and community centers from November. 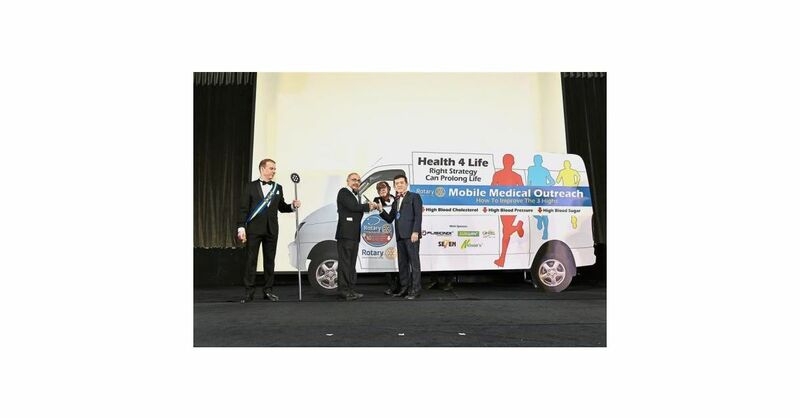 The van and program were launched by Rotary Club of Kuala Lumpur DiRaja president Datuk Seri Nelson Kwok who took his oath at the Club’s 91st installation recently. He explained that the National Health and Morbidity Survey showed 17.5% of those aged 18 and above have diabetes and almost half of the population, or about 9.6 million people, have high blood or high cholesterol levels. In addition to the outreach program, they will organize an art competition in January targeting the younger generation in schools and colleges. The program aims to reach 50,000 and impact 500,000 Malaysians. The program is slated to be launched internationally next March with the participation of seven sister clubs.